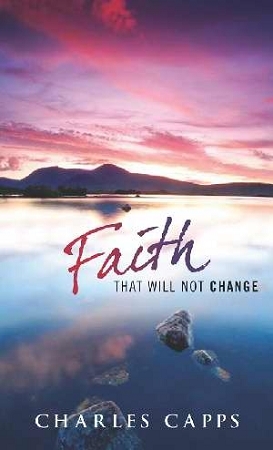 Description: Faith That Will Not Change by Charles Capps is a practical guide to encourage you in your walk with God. In this dynamic book, bestselling author Charles Capps outlines powerful truths that will help you get back on track to walking in the overcoming faith of God desires for you to have. Have you ever stepped out in faith only to later feel that you have failed? If you are like most Christians, at some point in your life, you have questioned the word God gave you. The truth, however, is that faith is a law and God's laws always work. Many times, we hinder our faith by not properly applying the principles outlined in God's Word. Formerly titled, Can Your Faith Fail?